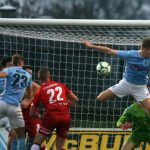 The Bannsiders looked like losing for a fourth successive fixture, but midfielder Ben Doherty had other ideas as he fired home a spectacular last gasp equaliser. Speaking after the game, boss McAree was delighted to see his defence look more solid after shipping poor goals in recent weeks. “The wind probably spoiled the game a little,” he said. “Both teams were competitive and I thought we did reasonably in the first half without creating an awful pile of chances. “But we’ve missed the penalty kick, we’ve hit the post with a header and we maybe haven’t overly capitalised with the wind in the first half. “We knew we were going to be up against it in the second half because Glenavon have pace and power up top. “They get the ball into the box and it’s hard to defend but I thought we did reasonably well at the back. 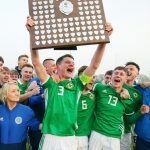 “I don’t think Glenavon had too many clear-cut chances, maybe the odd free-kick and corner kick that we had to defend, so I’m reasonably happy. “We looked at our positives last week in terms of going forward, defensively we were were very poor last week, defensively we were better today and could have been a bit better going forward. McAree believes Glenavon’s spot kick reward was harsh but heaped praise on his troops for salvaging a point after recent defeats. “After last week we came here today and challenged ourselves to get a clean sheet,” he added. “The penalty kick goes against us. To be fair to Keith he says if he got it wrong he’ll hold his hands up and apologise. “Decisions have to be made but we don’t seem to be getting too many good ones for us at the moment. “We don’t seem to be getting too much rub of the green, things seem to be going against us a little since the semi-final, but we just keep plugging away and hopefully that will change and we’ll get our turn at some stage. “Ten minutes before we scored it looked as if we had thrown the towel in a little and we couldn’t a drive going forward. “Jamie Glackin does well, he picks the ball up, drives forward and has a shot which hits the crossbar which we ultimately score from and it’s a great strike from Ben Doherty. 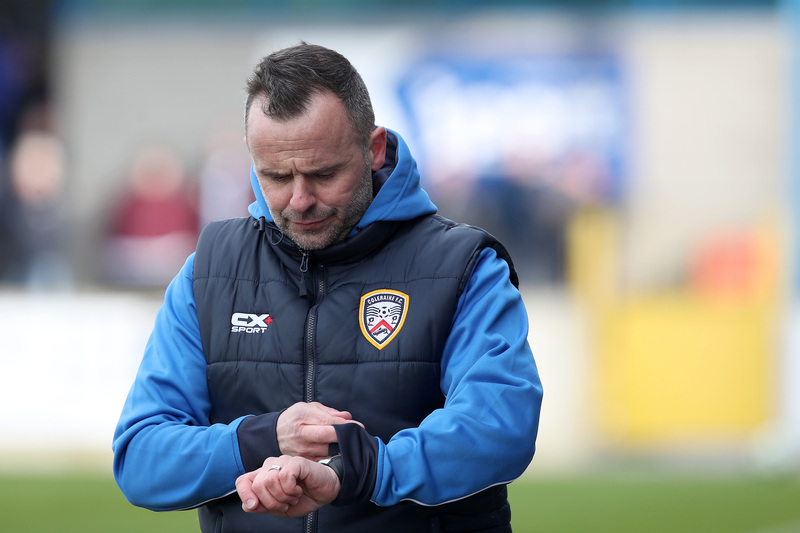 The Bannsiders were without five players through injury and McAree hopes to have as many bodies available ahead of the upcoming Europa League play-offs. “We’re trying to get people back fully fit,” he concluded. “I thought last week our front six did really well going forward so it would have been hard on one of those to have been left out and it was a day when we gave everybody a pat on the back in terms of going forward. “Steven Douglas went in at centre-half today and did extremely well and probably steadied the ship a little bit. 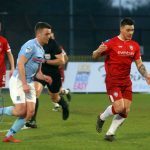 “We’ve played two teams these past two weeks who we could come up against in the play-offs and we’ve done reasonably well against them in certain areas.